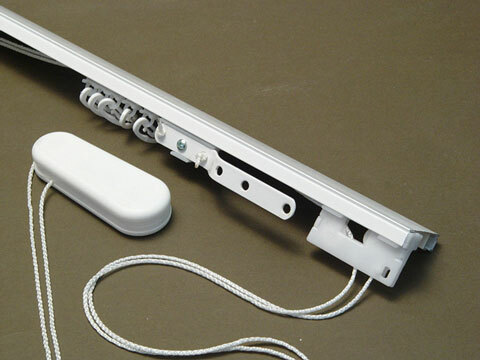 Single line, cord curtain mechanism in double aluminium rail. This kind of mechanism is commonly used on the outside line of the rail. The cord mechanism is hand pulled and the curtain can be drawn either to the right or left side of the window or open in two halves. This type of mechanism can be also mounted inside pelmets. Prices do not include the counterweight.